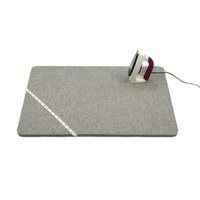 The Wooly Felted Ironing Mat absorbs heat and moisture giving you crisp, flat fabric seams. 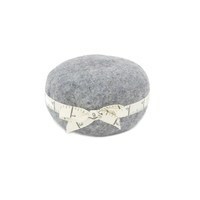 Tightly packed, felted wool absorbs heat keeping the surface below your mat from overheating as well as preventing finger burns. 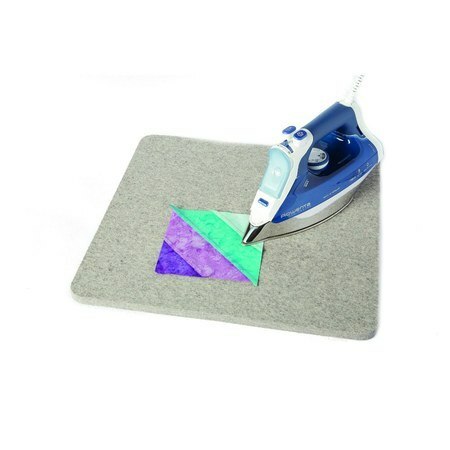 Made of 100% New Zealand Wool, this mat features rounded corners which prevent wear and extend the life of your ironing mat. 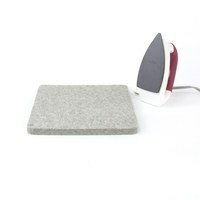 Rowenta Pro Master Iron sold separately.